More power to you, Alexey! The car I used for my adventures last year was a Peugeot 208 turbo-diesel hatch, performance was certainly adequate but I wasn't there to set lap records. Brno was the least-affected of the circuits I saw, though Bari and Pescara weren't too bad either. The big problem I had with Rouen was that nobody knew where it was and it was just outside the town maps and too small to find on district maps. Naturally, I fully photographed (stills only) every circuit I drove except the 'Short' Madonie. If this is OT to the subject then Mods please delete/create new thread. Finally managed to upload the in car we took of driving what can still be driven of the old Charade circuit, as accurately as I could estimate anyway. Video was done on a iPhone, so quality could be better. And vehicle was a Toyota CHR hybrid. Edited by GeoffR, 02 June 2017 - 10:27. Full marks Geoff! Wonderful video. Yet another example of how it was then, as opposed to the total crap nowadays. Somewhere on a nameless harddrive I have a similar lap filmed by the missus from the passenger seat in 2007. Edited by ozpata, 23 June 2017 - 18:45. Hi Oscar. I love your work, especially Brno, where I live. 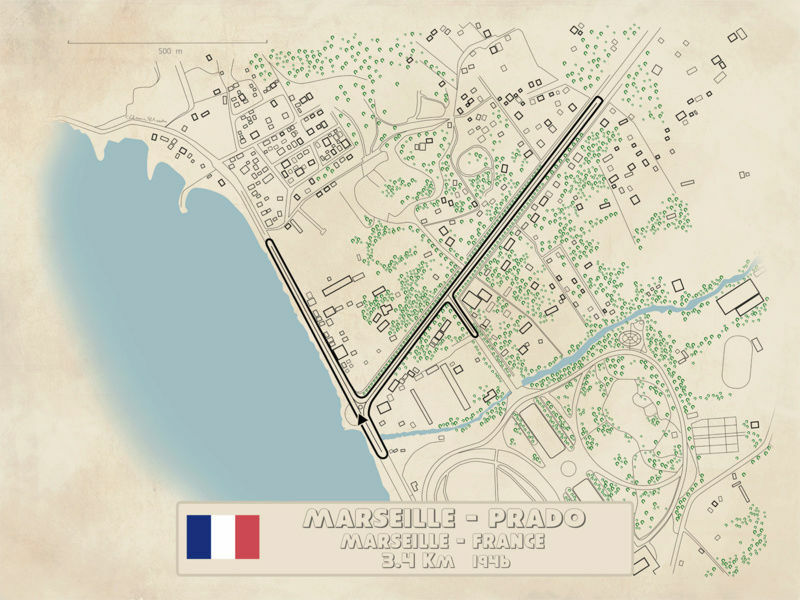 Anyway, if you would like to have more accurate map of surroundings from pre-war Masaryk Circuit, you can look here. It might help, it´s map from 1921. Without wishing to incur the wrath of Ray, that appears to have been a rather dull circuit. 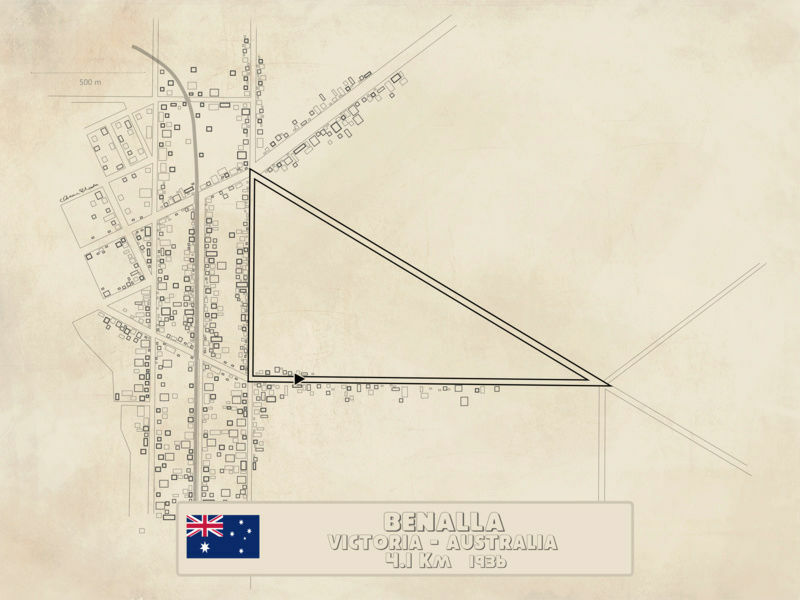 The Benalla circuit must have been designed by a maths teacher attempting to make geometry more appealing to teenage boys. Yes, it was designed by Pythagoras. His tracks were criticised as being too interesting though, so his job was handed to Hermann Tilke. Was the speed on the main straight equal to the sum of the speeds on the other 2 straights, I wonder ? If you're here you're a step above the average already. 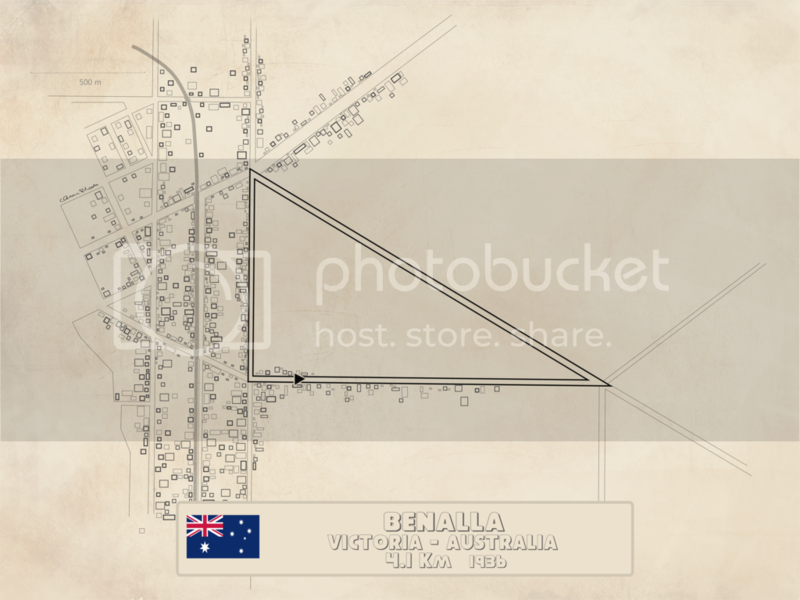 But as for the dullness of the one and only Benalla race meeting, two things stick in my mind. The first is that I camped right alongside the circuit for a week and didn't know it had existed during a holiday with my family (including competing at Winton) back in 1975 and didn't know the circuit had existed! The second is the far-from-dull ongoing battle the organisers had in running the meeting in the face of Government and Police opposition. Probably worsened by the fact that highway traffic had to take a detour during the meeting. Was the speed on the main straight equal to the sum of the speeds on the other 2 straights, I wonder? Edited by ozpata, 23 June 2017 - 18:44. Edited by ozpata, 23 June 2017 - 18:41. Me too, and I suspect also a goodly proportion of TNF. Don't bother with Racing Comments though, they don't do history further back than a couple of years or so. If you're ever going to have these printed as a book I hereby place my order. Edited by ozpata, 23 June 2017 - 18:40. Hear, hear! Regarding your latter point, the number of times I've tried to bring something of an historical perspective on contemporary F1 problems or questions and have been ignored by people who've made sweeping statements on what the think F1 was. There was one case recently when someone argued that pitstop strategy was always a part of F1. As usual, my attempt at a good-natured correction regarding much of the 1960s, in particular the 1.5 litre era, was ignored. As far as many are concerned, pit strategy is a full substitute for close, on-track battles. I find myself wondering what Innes Ireland might have had to say on that viewpoint were he still with us, given his apparent love of a good battle. Ted Lloyd Jones might have enjoyed racing here. Would you be able to insert kilometre-marks? I think it would be nice if one could follow a lap on the map from - for instance - 0.5 km to 1.0 km, to 1.5 km and so forth. 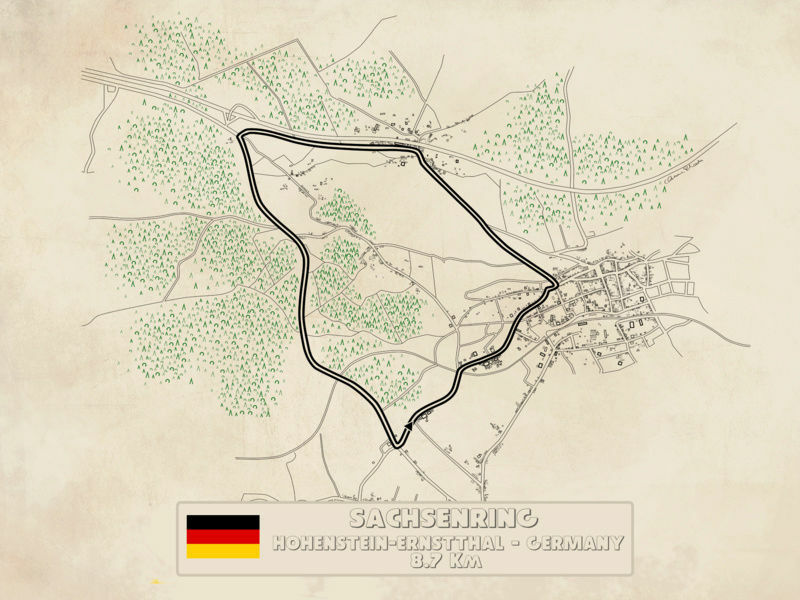 EDIT: I deleted the old Sachsenring map because the link is broken. Edited by ReWind, 24 June 2017 - 11:03. Edited by ozpata, 23 June 2017 - 10:25. That's OK, you're doing a great job, but could you add a date to the last one? Edited by ozpata, 13 June 2017 - 10:39. Edited by ozpata, 23 June 2017 - 10:22. Edited by ozpata, 23 June 2017 - 10:23. Just to say I'm still loving this thread ozpata! I think it's absolutely wonderful. Keep going ozpata!! Edited by MCS, 20 June 2017 - 16:40. Lyon looks like there was well over ten kilometers of full throttle. 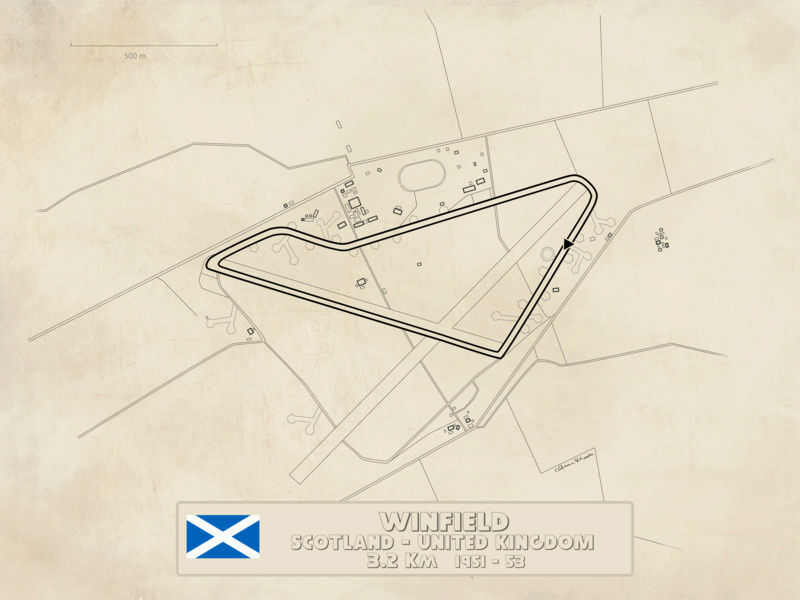 Made me wondering what was track with all time longest full throttle section and do we have map of it? Edited by uechtel, 21 June 2017 - 11:20. 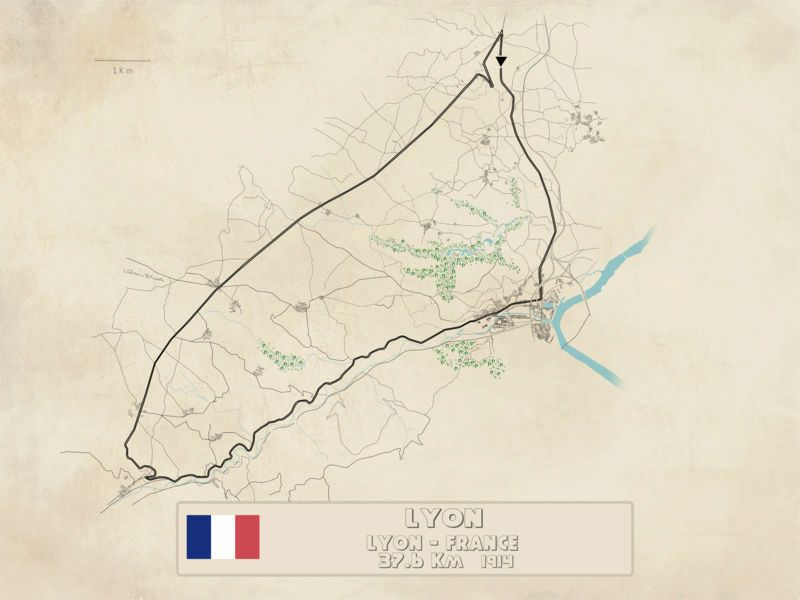 I was reading only the other evening in Volume 2 of Pomeroy's The Grand Prix Car that the circuit for the first GP de l'ACF in 1906 featured a section of near-straight road for nearly 20 continuous miles, which, at 90-100 mph, would have probably taken nearly 15 minutes from end to end. 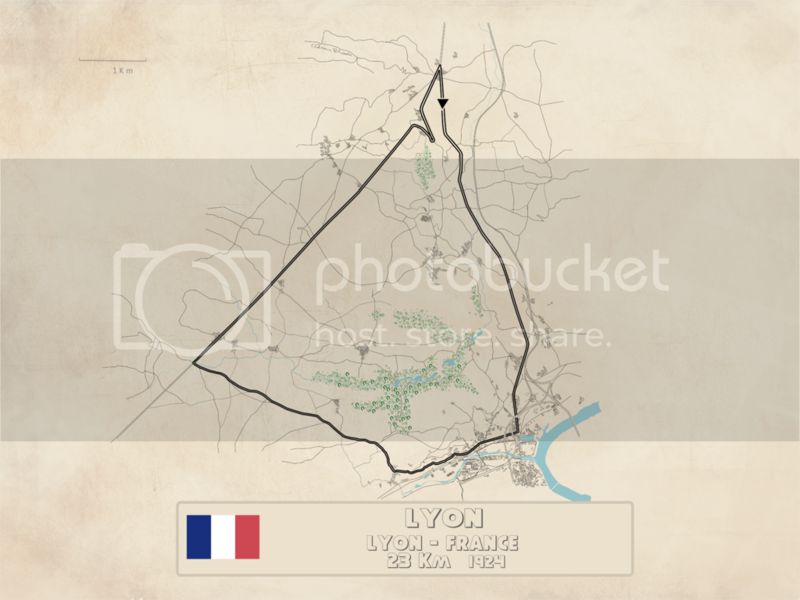 Further to you point regarding the Lyon circuit, I'm not sure what the return road from the far end of the circuit, through Le Pont Rompu (Broken Bridge) was like then, but, on Streetview it now seems pretty straight. Certainly the outward leg from Givors was (and to a fair degree still is) narrow and not very straight as it was a corniche road cut into the hillside of the Gier valley. Edited by cpbell, 21 June 2017 - 14:26. Edited by ozpata, 23 June 2017 - 10:20. I seriously doubt that any of those bends and kinks could've been taken full throttle in a 1914 car! A maximum of two miles full throttle, as I see it. 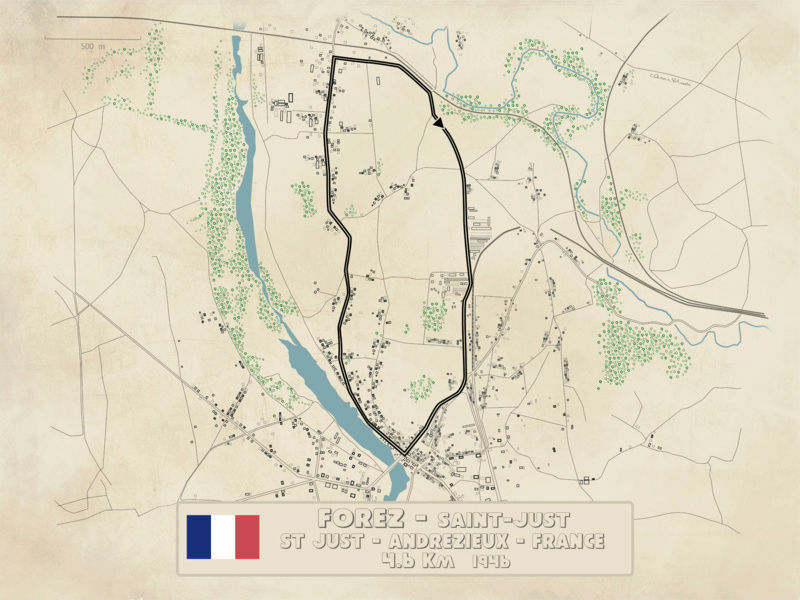 On the left-hand side of this map, you can see that the 1924 circuit re-joined the return leg from the previous version at a sharp right-hasnder; from memory this was near to Pont Rompu. On the outward leg, it also turned off just outside Givors before the corniche section above the River Gier. But these maps make me feel like I was taking another trip to Europe. Not me, Ray. I am in Europe. So am I. Well sort of anyway, are we speaking geographically or in a political sense? Is the anchor already lifted? and when it is, you'll see what all those nuclear power stations on the coast are for . . .
Edited by Allan Lupton, 23 June 2017 - 09:29. Images don't show, I really do hope that its just temporary problem. If I found right wiki article straight was from Bouloire to Saint-Calais which is around 15 km according to google maps. 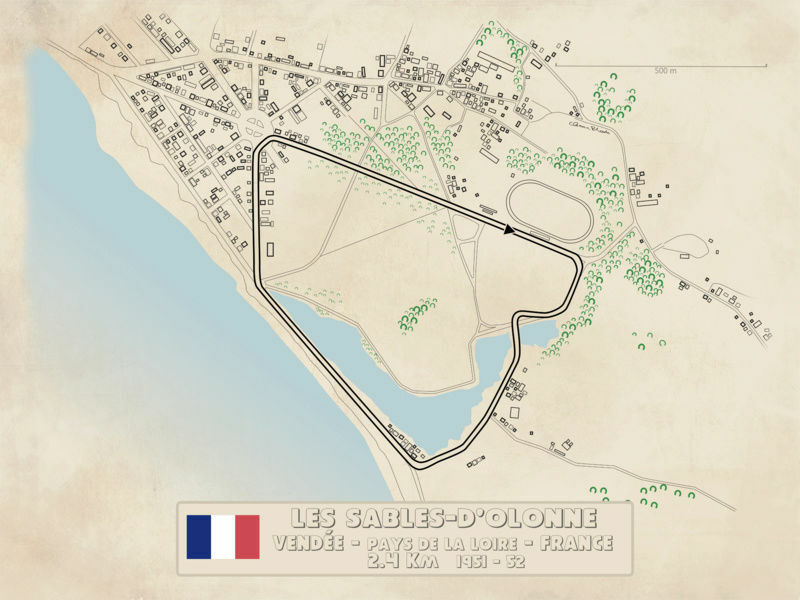 At least map on wiki page shows that there was some sort of chicane/corners at Bouloire. Most of the maps have been replaced by a Photobucket message saying the account has been blocked. Is nothing sacred! 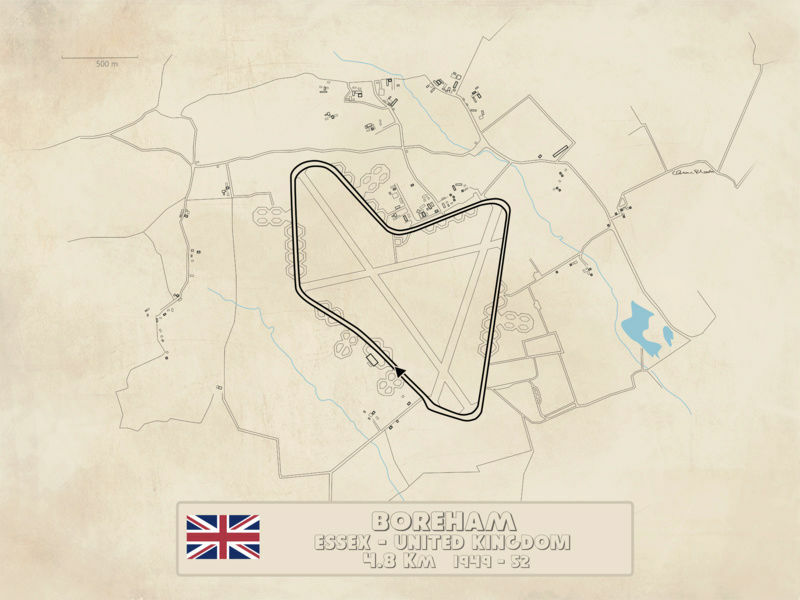 ozpata, if it would be helpful, I'd be very happy to host the older maps on OldRacingCars.com for as long as you want. That way you won't use up any allowances on Photobucket, and they won't ever expire. Then you can edit your old posts and change the addresses. Excellent, I see they are all back up, now on servimg.com. The offer stands, if you ever need it ozpata.